On another episode of The Theme Park Duo Podcast, The Duo get into the holiday spirit with PART 1 of their Holiday Spectacular! 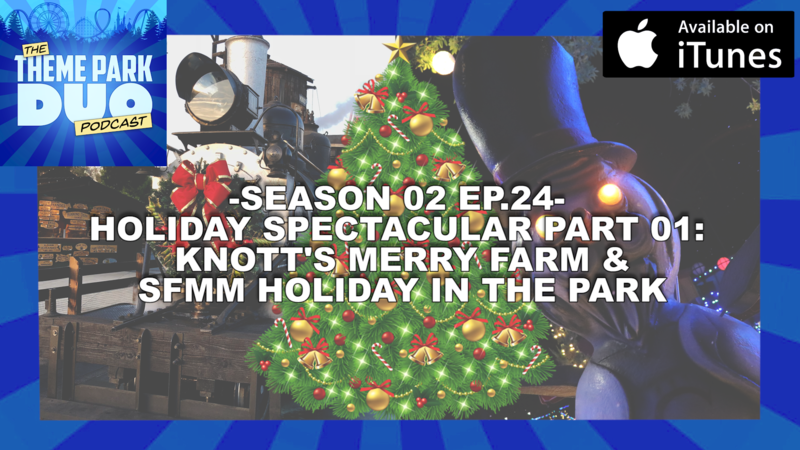 On Part 1, they talk about Knott’s Merry Farm and Holiday in the Park at Six Flags Magic Mountain! It’s time to eat, drink and be merry during the happiest time of the year!